Spencer’s Retail Limited, part of RP Sanjiv Goenka Group, is a multi-format retailer providing a wide range of quality products across categories such as food, personal care, fashion, home essentials, electrical and electronics to its key consumers. Specialty sections such as Spencer’s Gourmet, Patisserie, Wine and Liquor, and the recently launched Epicuisine section are some of the key differentiators in our hypermarket stores. Spencer’s, being one of the earliest entrants into the retail space in India, introduced the Indian consumer to the concept of organized retailing. The first ever hypermarket in India was launched by Spencer’s in Hyderabad in 2000. Today, Spencer’s runs 120 stores, including 37 Hyper stores in over 35 cities in India. 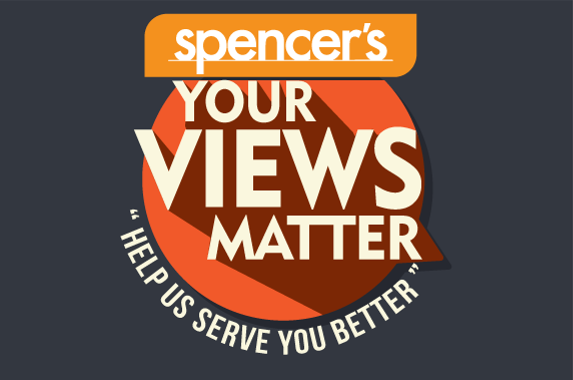 Spencer’s brand positioning – Makes Fine Living Affordable – embodies its philosophy of delighting shoppers with the best products and services that enable a fine living at reasonable prices, while providing them with a warm, friendly and educational retail environment. Our awards stand testimony to our unique position.